Kansas State University considers the safety of students, faculty, staff and all employees the ultimate priority. As a campus community, we have continued our discussion of campus safety measures, gun control, and the Kansas Board of Regents plans to implement the law passed by the Kansas Legislature in 2013 for concealed carry. As you may know, the Kansas Legislature enacted a statute to prevent st ate and municipal entities from prohibiting the concealed carry of handguns by eligible individuals into state and municipal buildings, except those building that have adequate security measures to ensure that no weapons are permitted to be carried into such building. At the time, the statute allowed governing bodies to apply for an exemption for a period of up to four years, which the Board of Regents enacted. The exemption period expires on July 1, 2017. Kansas Law currently states that as of July 1, 2017, individuals age 21 and older can legally carry a concealed weapon on state university campuses. The Kansas Board of Regents has proposed amendments regarding this policy. 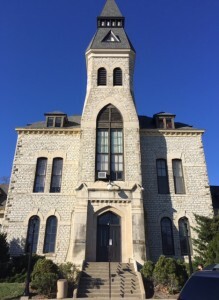 A K-State Weapons Committee has been meeting to develop a plan to respond to the legislation in the event the law remains in place. For more information about the law and the proposed amendments, please review the FAQ page provided by the Kansas Board of Regents. If you have questions or concerns, please contact Weapons Committee Member and Vice President for Student Life/Dean of Students Dr. Pat Bosco by phone (785) 532-6237 or by email at bosco@k-state.edu. Source: Bontrager, Cindy. “A Letter from V.P. Cindy Bontrager: Amending the Weapons Possession Policy.” Letter to Students, Faculty and Staff. 6 Nov. 2015. MS. N.p.